A typical campsite set up at Flamenco Beach. Many people enjoy camping on Culebra because it is, overall, an inexpensive way to visit the Caribbean. However, one must keep in mind that staying at the Flamenco Beach Campground can add up, especially if one does most of their eating at the local kiosks or travels into town regularly via taxis. Therefore, it is important that the visitor, especially the long-term camper, has a budget. I have come in contact with my people who have been at Flamenco Beach camping for a month or more. Some individuals have no plans on leaving. Others have been island hopping from the Virgin Islands or the Domincan Republic, and are staying a while on Culebra for a change of pace. In order to do this, you should have a rough idea of what things will cost you while on the island. Keep in mind that the prices often change. Ferry Ticket: $2.50 each way. Tent Rental: $20 per night (it is better to purchase one at the local Wal-Mart or bring one with you. 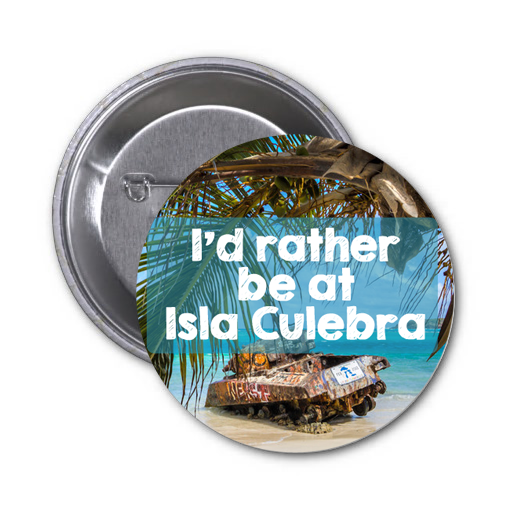 Taxi: $3 per person one way from Culebra to Dewey or Airport. Hammock: $20 for a good hammock. The one listed below is a compact one that many travelers recommend. 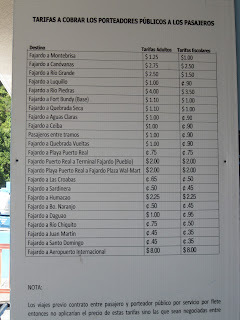 Food prices vary on the island. 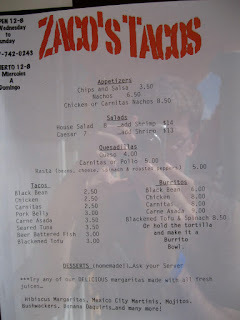 I have posted a few menus to give you an idea of what to expect. However, if you are staying on the island for a long time, you will want to stock up on groceries and produce. It is possible to walk into town instead of taking a taxi. If you do this, you may want to walk into town early in the morning before it becomes hot. You can then take a taxi back for $3 if you purchase a lot of things. Items at the grocery store are not too expensive. They are a little higher than the mainland due to the cost of shipping goods over, but are still comparable to princes in many areas of the continental United States. See the grocery store article for more information. 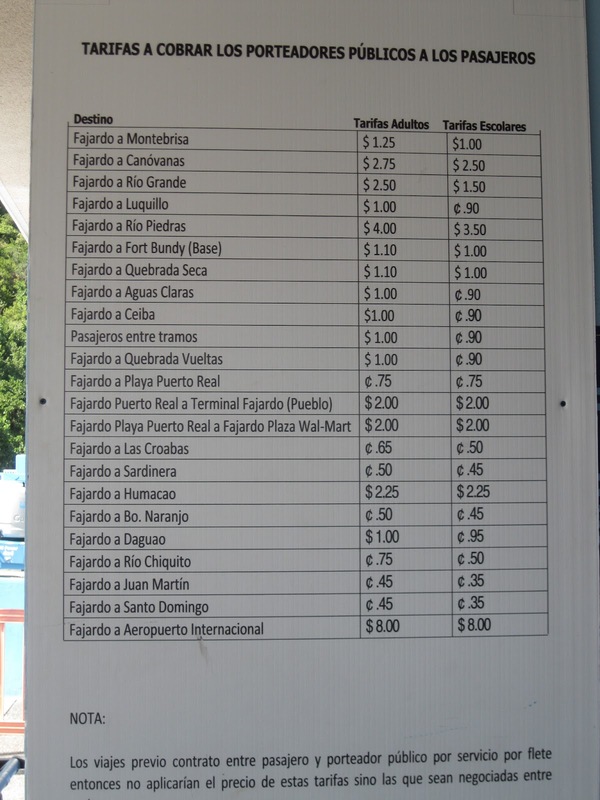 Of course one must keep in mind the cost of getting from San Jose to Fajardo (and eventually back), which can vary greatly depending on how you go about doing it. If you are taking a taxi, it will probably be around $60 for a taxi. If you are staying at a hostel or hotel in San Juan before heading out to Culebra, consider asking around. Many people often find traveling companions to share a van with. Sometimes the charge for a ten person van is around $120, but if you can arrange enough people you may end up paying around $15-20 a person. If you are taking a publico, prices will vary depending on how full the publicos are. It is possible to get to Fajardo from San Juan for $5-10, even though some drivers will try to charge you as much as $15 a person. 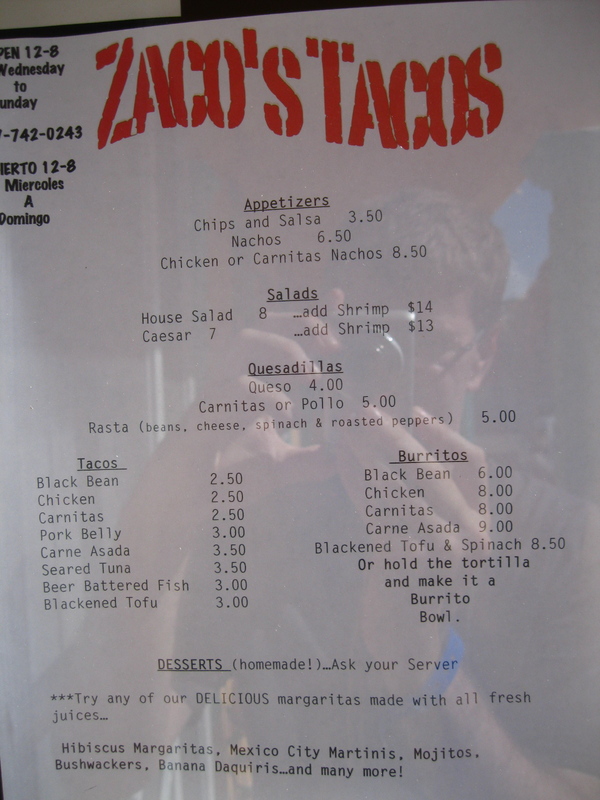 A few examples of menus from around town have been posted below. Click on the links to enlarge the images.